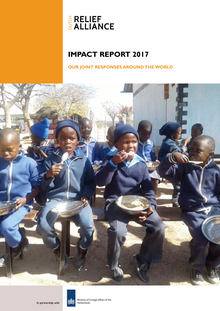 The new DRA Impact Report provides a summary of our activities during 2017 – including details of joint humanitarian responses in 11 countries. The Dutch Relief Alliance (DRA) was established in 2015 to improve the effectiveness of the national humanitarian effort. Increased collaboration and a strong commitment to both innovation and the priorities of the UN-endorsed Grand Bargain are at the core of all DRA activities – allowing for humanitarian responses with increased impact.